The Gold Ridge RCD seeks an Ombudsperson to assist residents of the lower Russian River watershed (within Sonoma County) in understanding and complying with the lower Russian River Pathogen Total Maximum Daily Load (TMDL). This task will be achieved by providing information, identifying appropriate tools and technologies, and acting as an impartial intermediary between residents and the agencies implementing the TMDL and who make up the Interagency Committee (North Coast Regional Water Quality Control Board, Permit Sonoma, Sonoma County Community Development Commission). 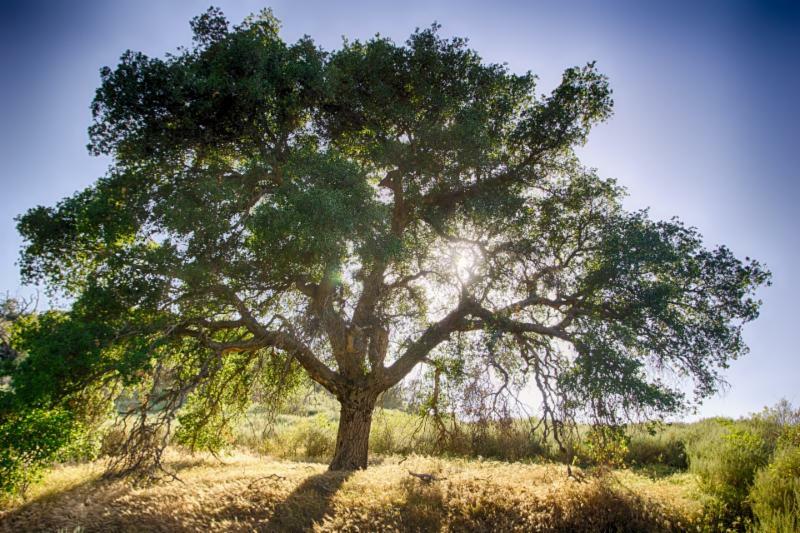 The Ombudsperson will be an employee of the Gold Ridge Resource Conservation District and will also work closely with the Sonoma Resource Conservation District, serving residents of both Districts. The Ombudsperson will be a non-regulatory informational resource to the lower Russian River community regarding the pathogen reduction requirements as detailed in the TMDL. They will assist landowners and residents to identify tools and options to effectively manage Onsite Wastewater Treatment Systems (OWTS, e.g. septic systems), as well as working with landowners, residents, the Interagency Committee, livestock facility operators, and homeless task forces. We will accept applications until March 12, 2018 . The position will stay open until filled. Please share this opportunity with your network. See the application here . Brittany Jensen, Executive Director will be taking maternity leave in early March 2018 and planning to return July 2018. Noelle Johnson, Conservation Planner will be Acting Executive Director for the Gold Ridge RCD during this time. Please feel free to contact her at Noelle@goldridgercd.org, or any of our staff if you need assistance during this time. Ann DuBay, Community & Governmental Affairs Manager of the Sonoma County Water Agency will be serving as the Interim Administrator for the Santa Rosa Plain Groundwater Sustainability Agency during this time. You can reach her at Ann.DuBay@scwa.ca.gov . The following events are coordinated by the North Coast Soil Health Hub --a network of farmers and farm advisers to share successes, challenges, and needs related to building soil health. The North Coast Soil Health Hub was created by the Mendocino County, Napa County, Sonoma and Gold Ridge RCDs with funding from CA Department of Food and Agriculture. This panel-style event brings producers and researchers together for a critical discussion of soil conservation practices. What practices are appropriate for the North Coast, and what results farmers are seeing. Read more . Growers gather for this annual field day at the Santa Rosa Junior College's Shone Farm for educational seminars and field tours focused on topics such as Integrated Pest Management, soil nutrition, and soil management. The North Coast Soil Health Hub is featuring a workshop on conservation tillage and cover cropping. Read more . Attention, Grapegrowers: North Coast Soil Health Hub Needs Your Input! What types of soil health practices do you want to do, but can't? What types of soil health practices are you curious to learn more about? The Occidental Arts and Ecology Center , based in the Russian River Watershed, recently reproduced a classic. 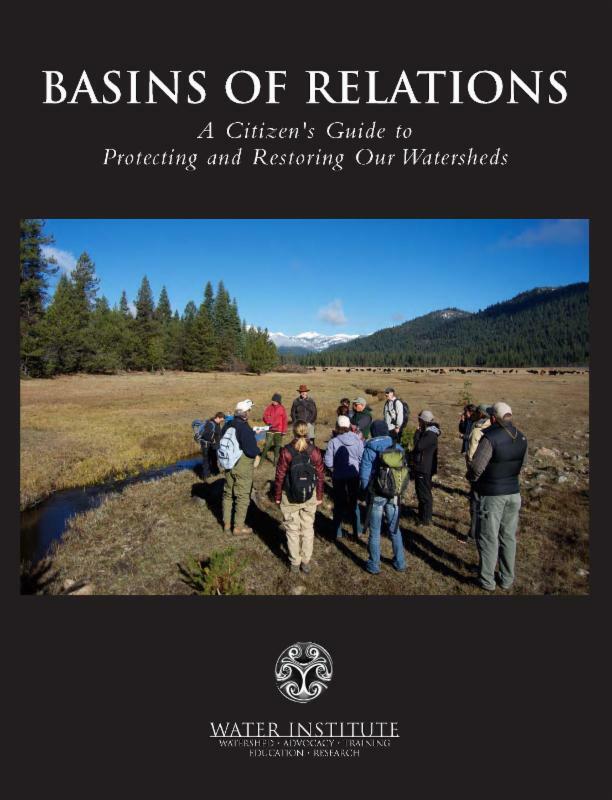 This newly updated and expanded third edition contains additional resources, images, graphics and a new section on the importance of salmonids and beaver to watershed health. Download your free copy, or support the WATER Institute by purchasing a printed version. In December and January, students from Lawrence Jones Middle School, Apple Blossom Elementary, Montgomery High, Santa Rosa Charter School for the Arts, Dunham Elementary, and Two Rock Elementary partnered with Gold Ridge RCD through Students and Teachers Restoring a Watershed (a program of Point Blue Conservation Science) to plant native trees and shrubs along the banks of upper Green Valley Creek for the 2017 Upper Green Valley Creek Fish Passage Improvement Project . Thick blackberry growth was removed to allow heavy equipment into the waterway for the decommissioning of a relic culvert. With the new fish passage-friendly culvert and regraded stream bed installation completed, the last step to the habitat enhancement project was to replace the stream-side vegetation with native plants. Students planted willows, alders, bay laurel, ash, coast live oaks, sedges, rushes, roses, huckleberry, currant, coastal redwood, dogwood and more in multiple work days on the creek's banks. The STRAW program managers will be maintaining the health of these plantings for the next three years. The California Native Plant Society has collected hundreds of acorns from across the county this past fall. 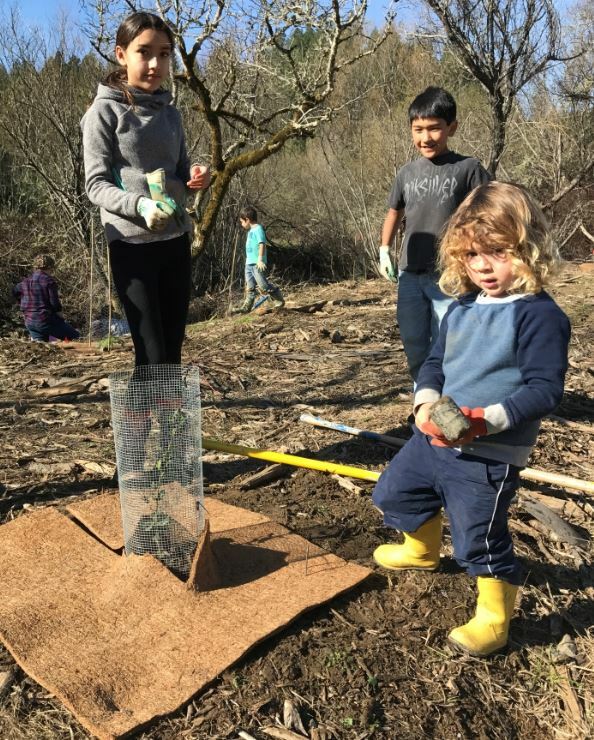 They are partnering with local organizations like the Sonoma and Gold Ridge RCDs to get area-specific acorns and oak seedlings planted by local landowners. ﻿For more information about how YOU can participate, read here .